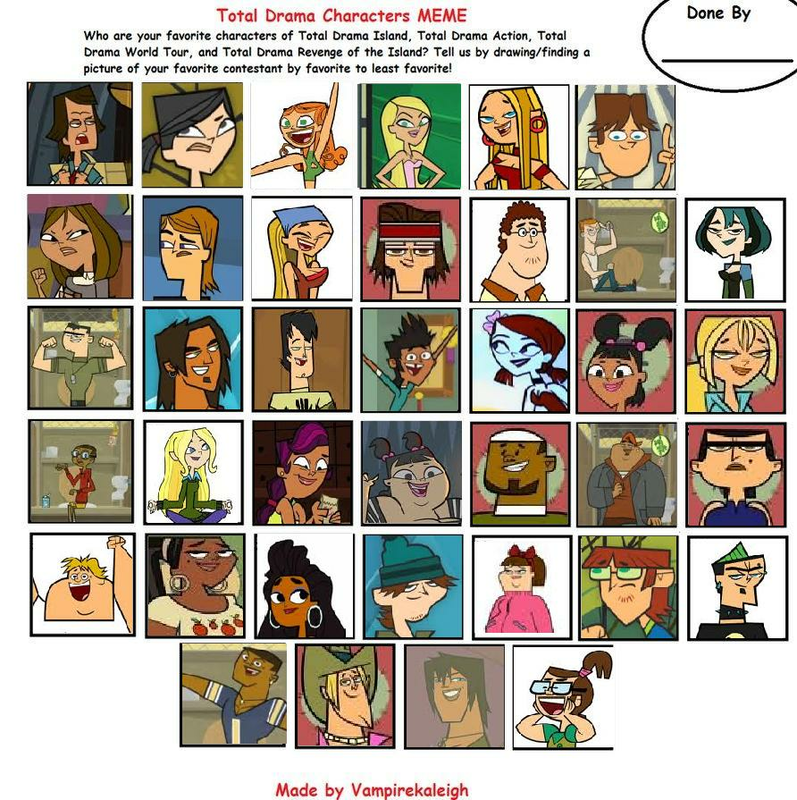 Best to Worst Total Drama characters. 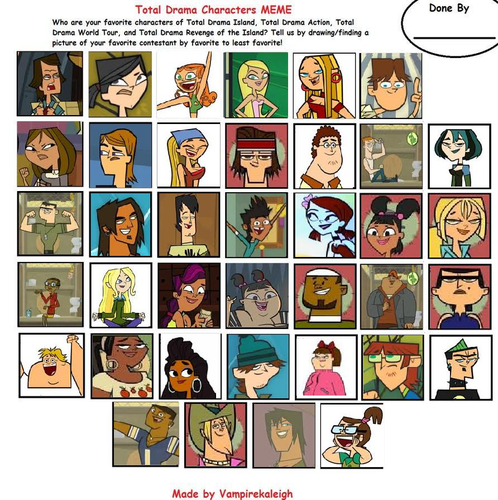 A meme I did from my fave to least fave characters. credit to vampirekaleigh on deviantART for the base.. HD Wallpaper and background images in the L’Île des défis extrêmes club tagged: total drama island total drama world tour total drama action. This L’Île des défis extrêmes photo contains vitrail, anime, bande dessinée, manga, dessin animé, journal, papier, magazine, tabloïd, chiffon, and livre. There might also be cassette and cassette audio. I've always just preferred her. :P Where would you put Courtney and Gwen if you made one of these? I didn't know that a lot of people hated Beth, but I just find her really annoying. Sorry! How are Dakota,Sierra, and Blaineley the worst characters? Actually, Dakota and Blaineley are some of my faves. It goes from my most liked to least liked! Sierra comes on too strong but she's still funny sometimes so she's kind of in the middle. That's ok XD I never see anyone liking Beth tho. Cause I like Scott and I don't care abut Dawn. XD I just never got the appeal of her. okay well i think the opposite. Dawns my fav and i really dont like scott. Yeah we all have our likes/dislikes! ... I'm just noticing this, but Blaineley and Linds could be sisters, couldn't they? Sorry late reply but actually yea they could. ._. First is Owen, Second Gwen (though I like Gwen more), Third Duncan, Fourth Courtney.